Today's Family Now: We're Giving Away a Birthday Party! We're Giving Away a Birthday Party! Is your child trying to “rope” you in to planning and paying for a big birthday bash this year? Never fear! 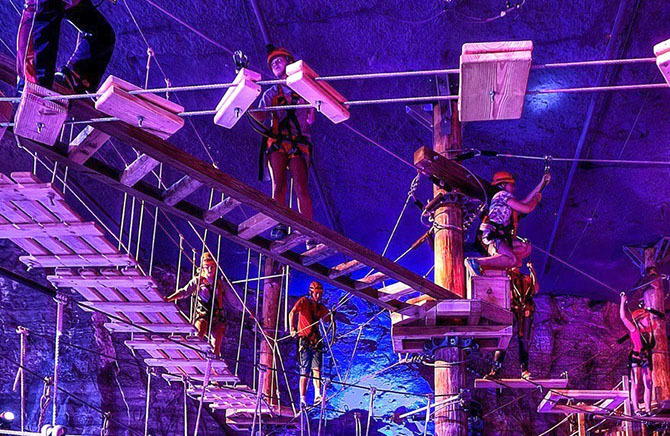 Enter today’s giveaway to win a free birthday party package to the Louisville Mega Cavern’s Mega Quest Course, the only fully underground aerial ropes challenge course in the world! You will receive: two hours on the Mega Quest Aerial Course; pizza and unlimited drinks for the participants (minimum of 10); and Mega Quest invitations you can mail to your guests. Get ready for a birthday party adventure! The lucky winner is Erin Slone!